At 36 on Bonza you will be encircled by light and air, natural stone, wood and water, elements which have been meticulously drafted using the finest materials, making you feel welcome, pampered and at ease. 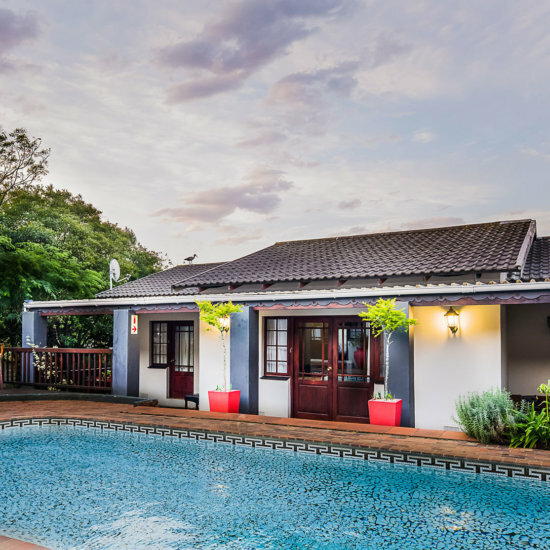 34 On Bonza Guest House is situated at 34 Bonza Bay Road in Beacon Bay, East London and is conveniently situated just a 5-minute drive from the N2 highway and a 16kms from the East London Airport. There are 8 x En-Suite Guest Rooms each equipped with private entrances.